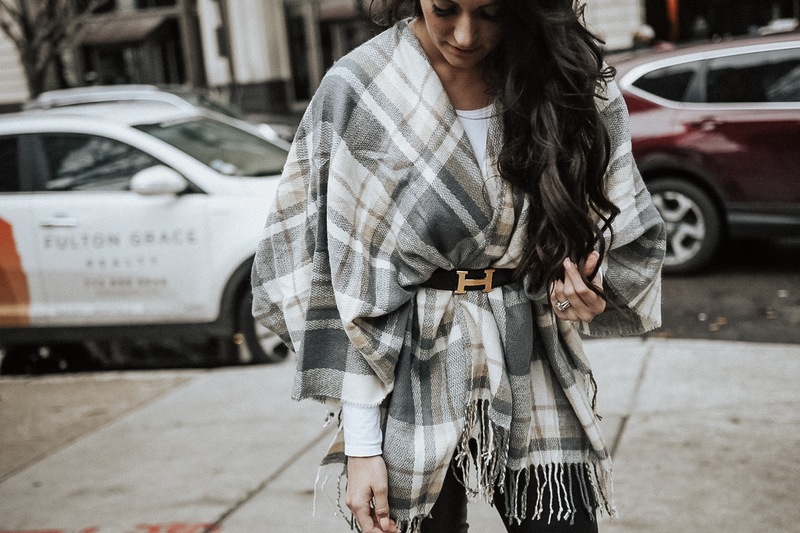 Plaids + Capes – Under $50!! The easiest way to take a plain basic outfit and turn it classy & ready for dinner or work! Whether you’re wearing dress plants, jeans, leather pants or a skirt. It’s also how I take a lazy day where I don’t feel like getting dressed really and it helps me look more put together. You can add a belt around the cape like I did below as well. A simple accessory that can also change up your look. Below I’ve link this exact cape and some others that I thought we’re stunning! Mine are from studiotwenty8fifty7 but they sold out! Must have cardigans for Fall! Fall is finally here! Fall fashion is my favorite. I break out all of my favorite sweaters, oversized flannels and beanies with my favorite jeans or leggings and feel cozy all season! 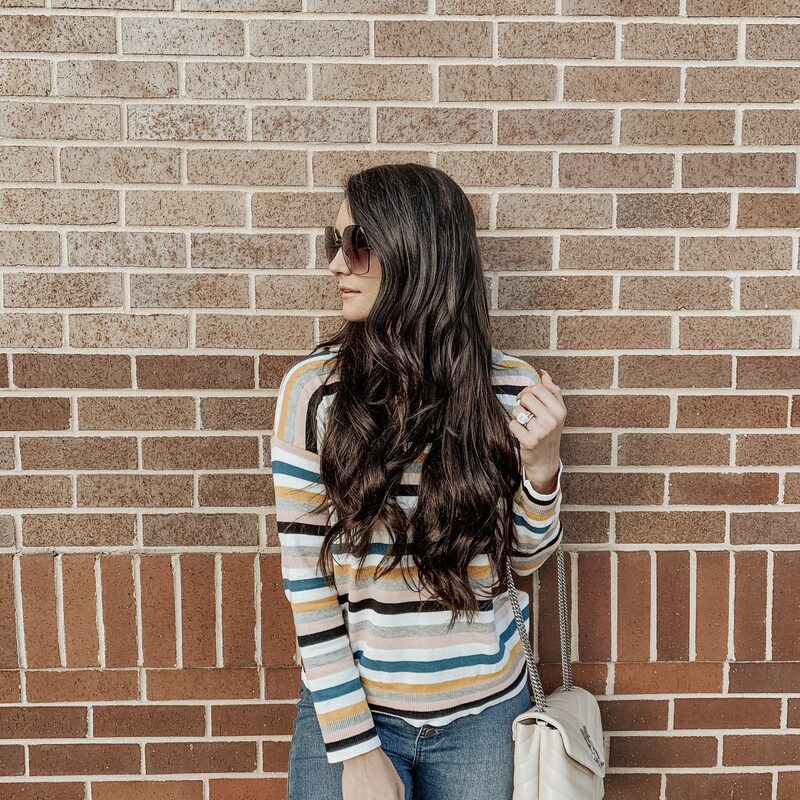 One of my favorite summer to fall transition pieces are cardigans! Cardigans are easy to pair with almost any outfit from jeans and a top to a dress. They’re the perfect transition piece when it’s chilly in the morning and warmer during the afternoon. Perfect for chilly office environments or an evening out. You don’t have to break the bank while looking stylish. I’ve linked all of my favorite cardigans for fall that are all under $50 from some of my go-to stores! The only thing better than a cardigan sweater is a cardigan sweater with a hood. These are SO cute and stylish, and I can already picture myself wearing these on a rainy day with my favorite umbrella. There’s nothing more stylish than a fun print. Animal prints are so in right now for fall and stripes are a classic wardrobe staple that you cannot go wrong with! I am so obsessed with textured cardigans and love that the “popcorn” texture is back in style. These are some of my favorite textured cardigans that I’ve found that just look so comfy and cozy. Last but not least, the wardrobe must-have of a solid colored cardigan. These fall colors of deep lilac, charcoal and mustard are so in for fall right now that you’ve got to find one that you love to play around with. They’re so easy to style with a fun print top or dress! Do you have a favorite cardigan you love? When do you feel the most empowered as a woman? This blog post is sponsored by Britney Spears Prerogative Fragrance. However, all thoughts and opinions are my own. When do you feel the most empowered as a woman? For me, it’s putting together an amazing outfit and rocking it. My style changes daily, whether I wake up and rock yoga pants or if I’m decked out from head to toe in bright colors or sequins. I feel empowered by being able to express myself by my style! For others, it might be a goal or a dream accomplished. 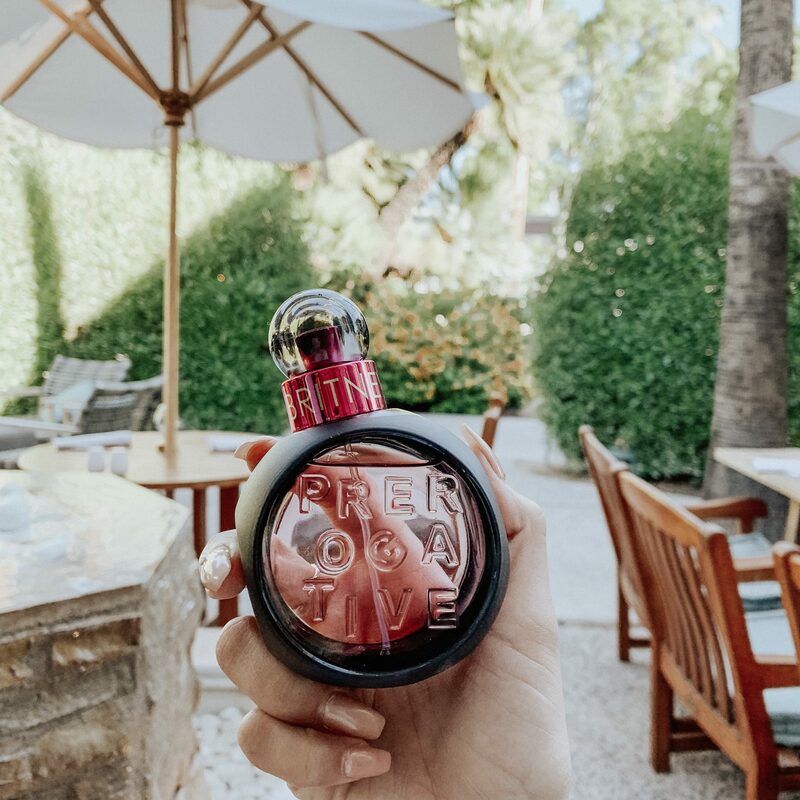 That feeling of confidence is evoked as a sense of smell in Britney Spears new fragrance, “Prerogative.” The scent is fit for every budget so that all women AND men can enjoy the feeling of confidence and determination to be whoever you want to be. Yes, it’s UNIsex! I have built my entire brand off of being unique and truly myself. When I heard of Britney’s new fragrance, I couldn’t wait to try it! Not only does it smell amazing, but it gives me the confidence to be myself in a way that all women should feel! 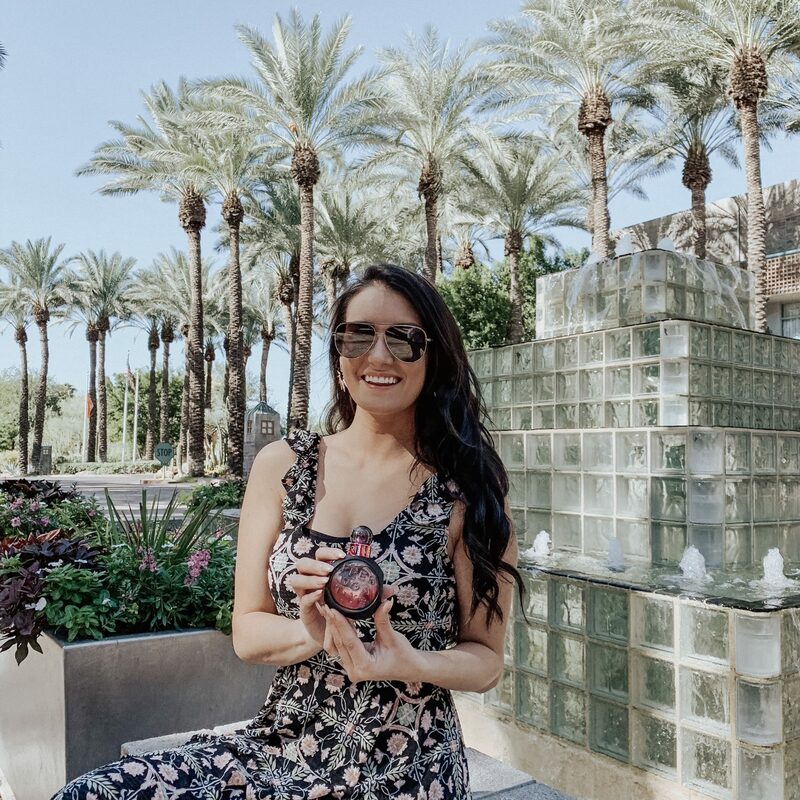 With notes of Pink Pepper, Goji Berries and Apricot Nectar, this fragrance is unique and confident, just like Britney and those who wear it. You can find the fragrance at Kohls – Priced perfectly between $32-42 depending on the size you’d like! I also think this is a great gift for the Holidays coming up! Shop HERE. I often am asked how I built my own business and started from the ground up by just doing something I am so passionate about. Defying labels and expectations is what Britney Spears’ Prerogative fragrance is all about. Be unique and be confident and you can do whatever you want to do in life. I love Britney’s message behind this perfume that resonated so deeply with me that I couldn’t wait to share it with you all. 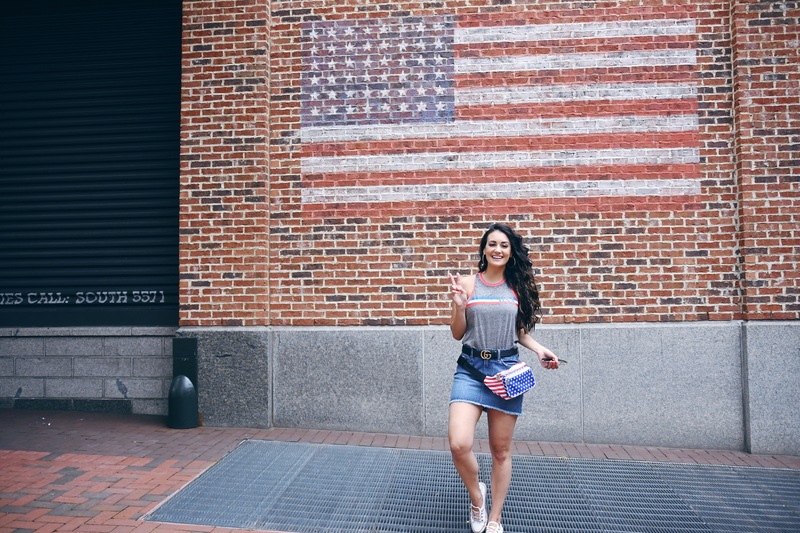 How to dress festive yet stylish for the 4th of July! + most deals under $40! I love being festive for holidays, not only because it’s fun but it brings us all together! I picked some of my favorite deals you can find in-store and online for Wednesday’s fun Fourth of July. Hope everyone has a fun filled Fourth of July and maybe even found something fun to wear! As you may know, I recently hired a personal assistant! Caroline is a recent graduate from James Madison University and has a fresh perspective on entering the working world. Check out her recommendations on work attire that’s not only affordable, but cute too! Hi! I’m Caroline and Tonya’s personal assistant. Recently, I did a major closet haul, ditching my party clothes from the past four years and swapping them for work clothes since I’m an adult and all now. I went on a mission to find cute clothes that are office appropriate yet affordable on a recent-grad budget and these were my finds! Inspired by my Mom’s business casual outfits, I decided to stop at Ann Taylor Loft first. Loft is known for their work attire that fits every body type. You can’t go wrong with work pants, and Loft has some great capri-length work pants that are perfect for hot summer temps but comfy for cold office environments! I got this pair in black and khaki. I also got another work-wardrobe staple that every working girl should have, a jean jacket! I love a good jean jacket, and wanted one to wear exclusively to work and this one is perfect. I bring it along with me since the office can get pretty chilly. Express is by far my favorite store. Their clothes are quality, they always have a sale, and they have a great student discount if you’re still in college! (or still use your student ID for discounts like me). I got another pair of work pants, but these are ones that are high-waisted and tie into a cute little bow! I got these in black, but I love this striped pair! This is great for going to work and hitting a happy hour later! Direct link to shop HERE. Some of the other tops I got from Express were also inspired by the work-to-play idea I had in mind, such as this super cute piped Hudson tank that comes in a lot of different colors! I got this one in ivory. The Express “city shirt” is the perfect work top for those hot summer days. I paired this with the high waisted black linen pants I bought. The vertical stripes are also really flattering. Another top from Express I loved was this t-shirt with a tied waist and rolled sleeves! It was so comfy and perfect to pair with a dress pant that would otherwise look boring. My next spot was Forever 21. I love this store because you can get away with not spending too much money but walk away with more than one piece of clothing. My office environment is pretty casual, so I try to opt for a t-shirt dress like this one and pair it with some cute sandals. This dress also goes perfectly with the jean jacket I bought from LOFT! I also needed some shoes and this loafer is so in right now! I’ve seen the same shoe for way more at other high-end stores, and this is my go-to office shoe. Last but not least, I headed to Nordstrom Rack to wrap-up my shopping. 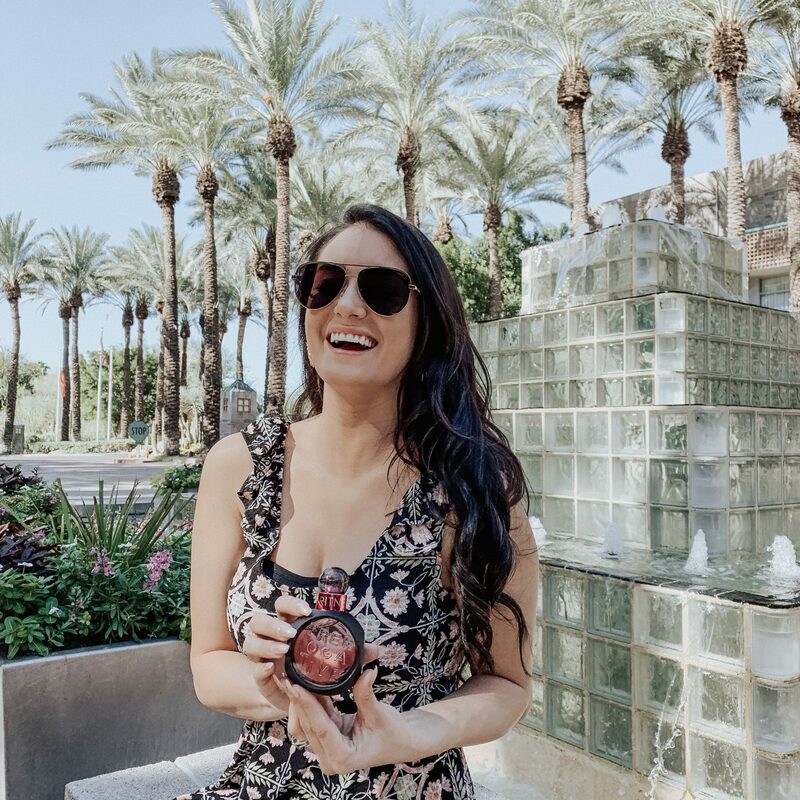 If you’re more of a high-end brand kind of girl, this one’s for you. I needed another work shoe and maybe another top, so I headed here. I found this textured ruffled blouse in olive green and fell in love. It’s so cute and very work appropriate. It looked so cute with the khaki capri dress pants I got from LOFT! Lastly, I wanted a work sandal that I could also use for other occasions like a summer party. I found these thong sandals from Franco Sarto in black that I love. They’re so comfy and sleek and I can dress them up or down. Tonya also told me about some great online boutiques that are perfect for finding some other items that you could wear to work! Vici Dolls – she has a discount code that is: TONYA20, for 20% off anything on their site. The photo below is a great jumpsuit you can add a cardigan or blazer with! Have a favorite store to shop for work clothes? Comment below! 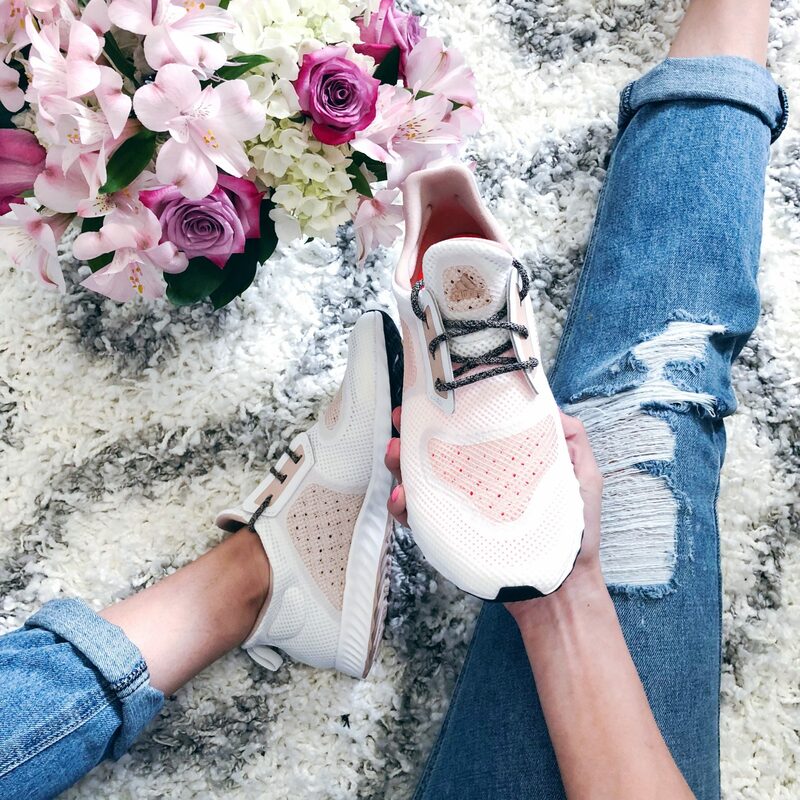 What’s better than not having to think if your top matches with your jeans or shorts? Nothing! haha. I adore wearing Jumpers and Rompers in the Spring/Summer. 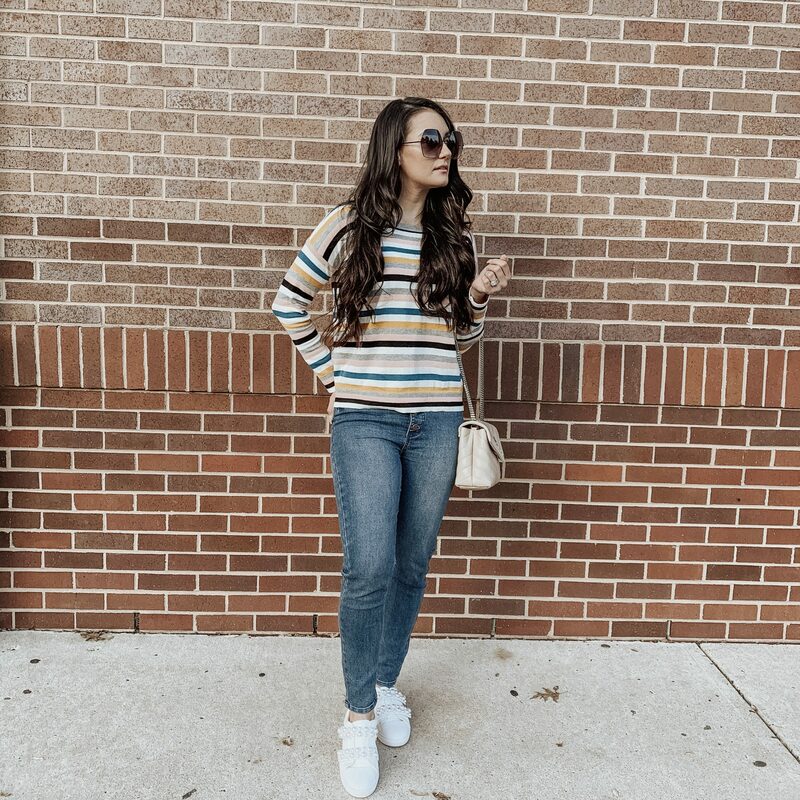 This Jumper is SO comfortable and easy to dress up with your favorite heels or throw on a denim jacket and chucks. Being able to do both with an outfit is so important to me. I love wearing things different ways depending on how I feel that day or where I’m headed!